In this scenario our business requirement is that when an order is created you need to loop over all the items in the associated price list & create an order detail record for each product. This is a typical requirement when a company sells common sets of products together. So in their product catalog they create bundles of the commonly sold products together. So that when the user selects a price list it is the common bundle of products that they have selected. Then when the formula executes (Order Creation) it creates one order line item record for each product in the price list and this saves the user a lot of clicks in picking out the individual products. 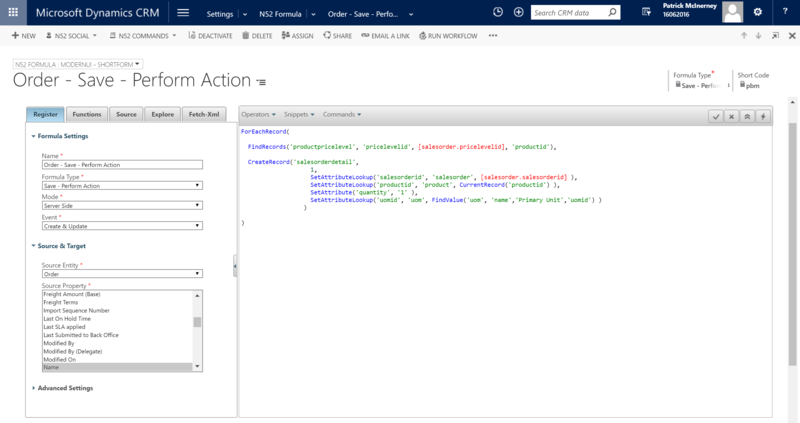 Please note that Dynamics CRM does have the concept of Kits which is similar to what we are trying to achieve here but these kits only appear as one sales order line item and so our method is far more flexible in that the user can easily remove unwanted line items. Below is an example of a 'Silver Bundle' where when the Order was created the formula added in the two associated products automatically. We create a formula that fires on just the create event of an Order & it performs an action for us. 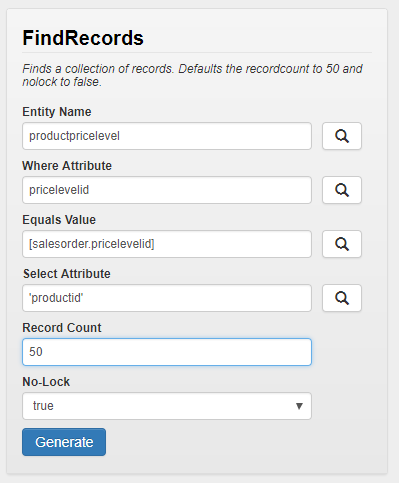 The required fields are set on the sales order detail for each record.